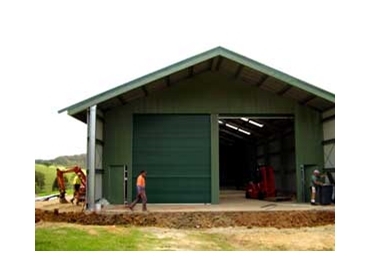 Ozsteel Garages and Sheds manufactures industrial sheds to suit applications ranging from mini storage units to aircraft hangars. Ozsteel can custom design a building to suit most requirements. These industrial sheds can also be constructed with internal mezzanine floors. They can be added to the buildings to be used as upstairs offices. With 21 years of steel building experience, Oz-Steel believes that a successful business should be based on a high level of referral and repeat custom from satisfied clients. They use quality Australian Bluescope steel and they service clients Australia-wide with minimal freight costs through their network of 25 manufacturing plants.